The UM Aquaculture Program tests and validates cutting edge larval rearing techniques aimed at increasing survival in high density, intensive systems similar to those found in the commercial sector. Once optimized, the techniques developed by the UM Aquaculture team are transferred to the public and private sectors, and are implemented at commercial scale the world over. 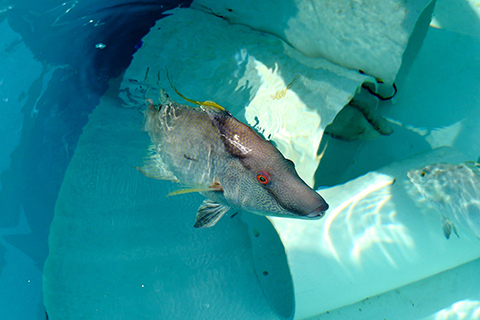 Research in hatchery technology at UM focuses on the following species: cobia, mahi-mahi, red snapper, grouper, hogfish, flounder, goggle eye, pompano, and tuna.